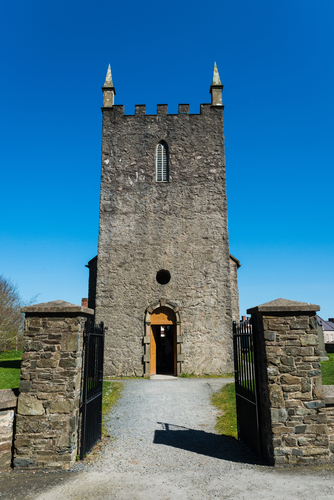 At the time Kilmore Church was built in 1790, the Church of Ireland was still the Established Church in Ireland, and was supported by tithes. This 10 per cent payment of the annual produce of land or labour was made to the church by the entire population, whether they belonged to it or not. This small Anglican (Protestant Episcopalian) church was built to accommodate 160 people, although parish records show the usual attendance was about 100 worshippers. The church now stand at The Folk & Transport Musuem in Cultra.